One of the most challenging aspects of saving on groceries is trying to figure out what to actually make for dinner, when you’ve been diligent about shopping the sales and building up your stockpile. After all, there is nothing worse than suddenly realizing it is quarter after five, the kids are starving, and you have a pantry FULL of food, but absolutely NO idea what to cook! While there are times where I really enjoy the challenge of creating tasty new recipes using whatever ingredients I have on hand, lately it has felt like dinner in the Soukup house has been more of a fly-by-the-seat-of-my-pants kind-of-show. There has been a lot of creative desperate improvising. For most of you, however, peanuts and Special K does not a dinner make, which means you probably will have to put a tad more effort into figuring out how to balance great sales with great meals. There are a lot of different approaches you can take. Depending on your personality, food preferences, and time constraints, some will work better than others. It may take some trial & error to find out what works best for your family, and you may also find that what worked for you at one point isn’t working so well anymore. In that case, don’t be afraid to try something new! If you are going to take the Just Wing It approach, you can’t be afraid to experiment and improvise. This approach will probably save you the most money, since essentially you will be forcing yourself to use exclusively what you have on hand in your stockpile, and almost nothing else. Be sure to keep a good supply of basics on hand, such as butter, milk, sour cream, cheese, flour, & olive oil, as well some onions and garlic. Keep an ongoing list of dishes that you’ve made that you can refer to when you get stuck–you may not be able to recreate something exactly, but it might get the creative juices flowing. Don’t always wait until the last minute. It happens, I get it. (Oh, believe me, I get it!) But once the panic has passed, try to think ahead to the next meal. Is there some frozen meat you can thaw overnight or something you can throw in the crock pot in the morning so it is ready by dinnertime? Freezer cooking used to intimidate me, but that was before I figured out the “cheater” method! If you’ve read this blog for a while, you know that I am a big fan of easy-to-make freezer recipes that don’t require any pre-cooking. Over the last couple of years, I’ve put together several different 10 Meals in an Hour plans that allow you to whip up ten meals in almost no time at all. All of the recipes use basic, easy-to-find ingredients and allow you to “shop” from your pantry as much as possible. You can find the various plans here. If you can, plan your menu & print your list at least a month in advance. Figure out what meals you want to make, then shop the store sales each week to avoid paying too much at the last minute. In your regular shopping trips, be sure to continue stocking up on sale items when they are at their rock bottom price. Don’t forget to stock up on food storage items when you find them on sale! The cost of things like freezer bags, heavy duty foil, & foil baking pans can add up quickly. In my pre-coupon life, I would sit down with my favorite cookbooks once a week, pick out a week’s worth of recipes, then make my list and go to the store, nary a coupon (or often even a sale) in site. We ate very well. We also spent over $250 a week on groceries. I’m not suggesting you do that. However, it is possible to take a more traditional approach to planning your meals and still save money with coupons, even if the savings are not quite as dramatic. Before you sit down to plan your meals, take a moment to peek in your pantry and refrigerator, and to glance over the upcoming sale ad. Are there any meals that come to mind based solely on the contents of your stockpile or upcoming sale ad? Add those to your meal plan first. Try to pick recipes that include a majority of ingredients you already have on hand. The fewer items you have to buy, the more you will save. Be sure when you shop, you are not only buying the items from your meal plan, but also stocking up on any sale items that happen to be a rock bottom price. This will keep your pantry full, and make it easier to plan your meals in the future. This is sort-of the minimum effort version of traditional meal planning. If winging it is too scary but traditional meal planning sounds far too labor intensive, you may want to try subscribing to E-Meals. 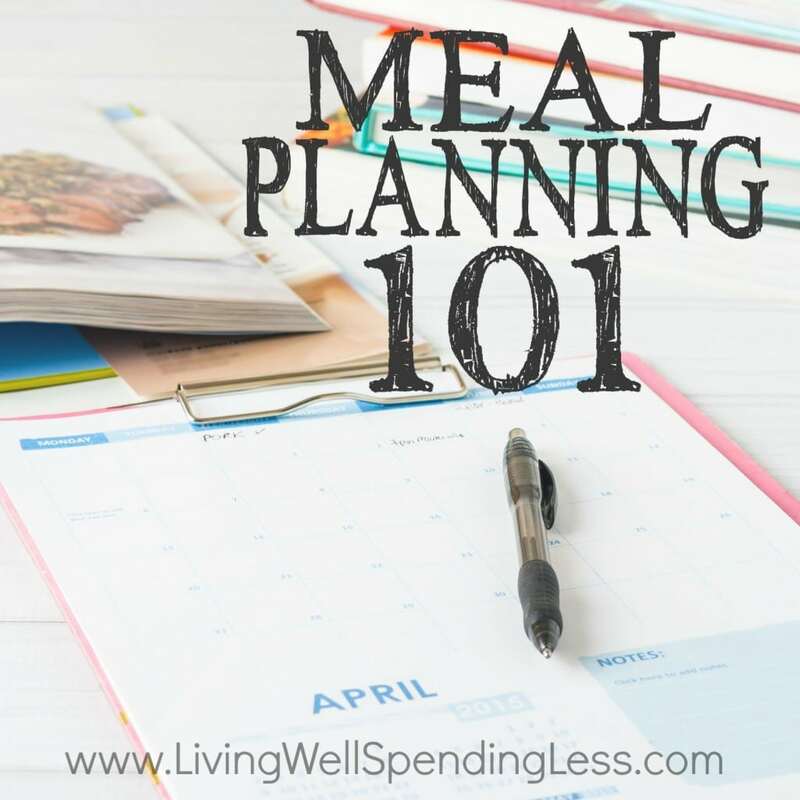 This is what I used when I first started shopping with coupons, before I had established a good stockpile and when I was still having a lot of trouble with the idea of not planning every meal. It was a godsend! For $5 a month, E-Meals will provide a weekly meal plan tailored specifically to your store & based on your store’s sale ad, helping you plan delicious meals using ingredients that are on sale. It is awesome! Most of the recipes are super easy & pretty fast too, and you can even try it out FREE for two weeks! Even though I am more likely to wing it these days, I still love using the E-Meals lists for dinner ideas, since there are usually at least one or two recipes on the list that I will always have the correct ingredients for. 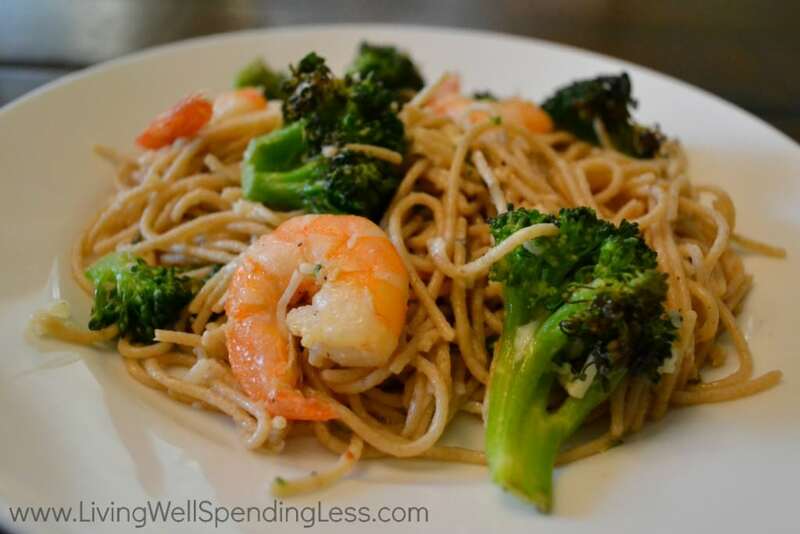 Ultimately, if you are going to be successful at cutting your grocery bill in half, you will have to figure out the best way of balancing saving money with cooking to meet your family’s needs. These are just a few of the techniques and methods that I have used, but I’d love to hear your ideas for making meal planning just a little easier as well! I begin on a Sunday morning, I gather all the coupons for the week and I begin to match the coupons to the meals I have planned for the next 5 days leaving some leg room for Sat and Sun. 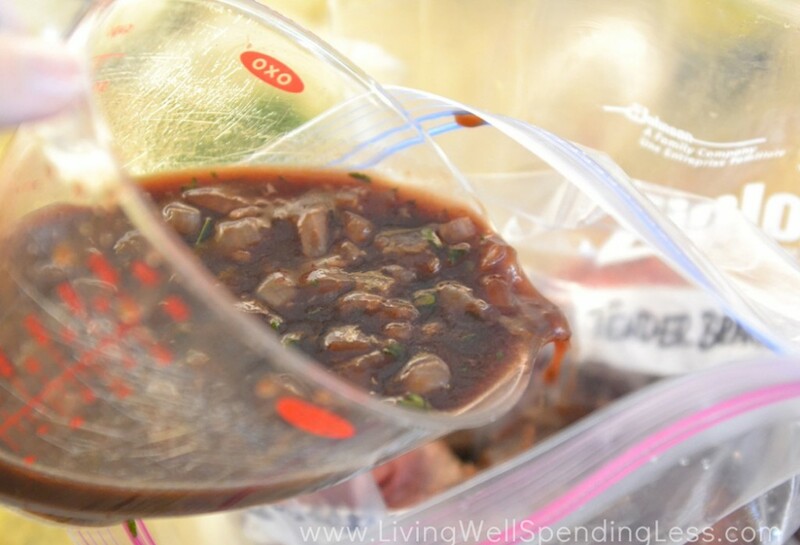 It saves me time in the store and at home when my husband and I cook the meals for the week. I am new to couponing but I am an organizing nut as my family puts it. We have Saturday Soul brunch where the hubby throws on the jazz and we make lots of pancakes then freeze the excess for the week when the children want something different than cold cereal. It’ since to know that there are others out there just as “organized crazed” as I am keep up the good work! Oh I just need help all around!! I do not LOVE to cook, and although I am organized in other ways, when it comes to the kitchen, I have a total mental block!! I’ve tried to figure out couponing and do well for a while then I fall off the bandwagon. I’d love to figure out an EASY way to save money using coupons. Love your site! We are lucky to receive 1/2 side of beef every year for Christmas. Having meat already in the freezer helps greatly. I then go through my coupons and try to use the most valuable & useful ones that will go with the meat I’m ready to use from the freezer. We also like to eat a lot of chicken, so I try to keep some on hand that we can just throw into the mix and have a quick meal. Between having a nice stockpile of ingredients AND plenty of meat in the freezer, meals at our house “should” be a cinch. But only if the 2 cooks have the motivation to get it done- LOL. I don’t really plan my meals around coupons. I really wish I did though. I also would like to try the once a month cooking. Superbly illnumiaitng data here, thanks! My favorite thrifty meal idea is a recipe I found online called Yankee Noodles. It’s a one-pan meal that doesn’t even require pre-cooking the noodles. With the exception of hamburger, all the ingredients are things we typically have in the cupboard – plus I throw in extra veggies we might have, like chopped celery or shredded zucchini, and add spices to taste. It’s easy, it’s pretty fast, and everyone in my family likes it. Right now I wing it with whatever I have on hand in my stockpile. I’ve got tons of chicken, veggies, pasta, and rice, so my challenge is to switch up the flavors so it doesn’t feel like we’re eating the same thing all the time. My “oh crap” last minute thrifty meals are beans and rice or breakfast for dinner. I usually stock up on proteins when they’re on sale & put in our large freezer. I use a OAMC cookbook for recipes but only usually make 2-3 different dishes at a time since I make 3 4-serving dishes at a time (hope that makes sense). I’ll keep a running list of ingredients I need for recipes I want to make but don’t have on hand then wait for them to go on sale. I find I usually only need the fresh produce or an occasional weird spice/oil/vinegar to make most things. I need to make some more meals soon since we just ran out of all my prepared ones. Great giveaway! Hi I am so confuse with this OAMC…Do you guys actually cook the food then freeze it, or is the food just prep then place in the freezer until its ready to be cook that day? I used to use Emealz all the time and it was awesome. I work full time and they did all the planning for me. As a way of saving money (pre-couponing) I dropped my membership. BIG MISTAKE! Now I am having a hard time convincing my husband it would be great to use the combination of both. Stockpile spaghetti appears on the menu quite a lot now! I usually start by seeing what I already have on hand. I have a mass of recipes from various websites plus websites like allrecipes.com will allow you search by ingredient so I use that to see what meals I could make from stuff I have on hand plus one or two more things. I love beans and cornbread for a quick thrifty meal. We almost always have beans and cornbread on hand. Still pretty new to couponing so I would like to build a more varied stock pile and try to find other uses for pasta other than spaghetti and traditional pasta dishes. in need, so a day (or two) a month of cooking would be to my advantage. I LOVE having a stockpile! Now that I am getting to have a good supply of items, I usually pull out meat the night before and and wing the rest of the ingredients to go with it! I hope I win because I would love to try something new! Even before couponing, I was a meal planner. My Sunday night ritual is to check out the sales flyers and base my meal plan for the week around what’s on sale. But that’s very time consuming and would love a little help in that regard. I love anything Mexican, so my pantry is usually stocked with foods to make tacos, nachos, or fajitas. I’m pretty good at winging it, but I’ll sometimes get in a rut with my stockpile cooking, and repeat myself a little too often! A bit more variety would definitely spice things up. SUCH a great article as always Ruth! We started couponing with help from SavingWellSpendingLess.com on 4/17/2011 – what a difference 4 little months can make, especially with tools from LWSL on top of that. We have three boys so we were used to spending $200+/week on food. After building my stockpile, I now only buy what’s on sale at a rock bottom prices every week and then fruit, veggies, french bread and milk. Every now and then we allow for a couple of items (still with coupons) that we enjoy (ie: ice cream) even if it’s not rock bottom that week. I mainly shop at Publix, but also Winn Dixie for the right deals and about once every 6-8 weeks we replenish the meat with BOGO chicken breasts, pork shoulder, ground beef, etc at WD or at our local meat market. Even on those weeks we are spending less than $80. We portion the meat out in freezer bags and that helps so we can always defrost something a day ahead. My husband and I LOVE to cook and bake (and, as such, we have a rather large cabinet of spices, baking items, etc) so we just plan our meals around our stockpile and we get creative! And it IS funny how creative you can get – also adding a different sauce (Béchamel , a caper sauce, a brown sauce with wine) makes meat (or a non-meat protein) taste different every time. I think cooking scares some people but it’s something anyone can do with practice. My advice would be to grab “Mastering The Art of French Cooking” or another great recipe book and learn some of those basic sauces – it will transform your stockpile into some great dishes you can make ahead and freeze or, if you have the time, make fresh. Thanks Ruth and thank you LWSL!!!!! I try to plan my meals around the sale ads. For the items that I need that aren’t on sale I get them from a discount store. Yes it’s a special trip, but I usually pass one on the way to the big name store that I’m going to shop at anyway :). My favorite go to meal is anything with ground beef and potatoes or rice. I can create a different/but the same dinner three times a week. 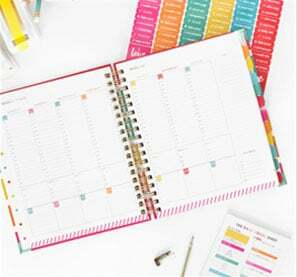 I would like to be more organized so that I could do OAMC every month, but it hasn’t happened in the three years that i’ve been on my journey to a more self sufficient lifestyle. I’m still new to coupons and stockpiling however, my go to food item has always been pasta. You can do just about anything with it; alfredo with veggies and shrimp, tomato sauce with mushrooms and peppers, or garlic and olive oil with a little parm cheese. yum! I’m not a super big meat eater but I do love my carbs! LOL Thanks for this article Ruth; it was really informative. I am so wanting to try the OAM cooking so I guess I need to get going with my stockpile. How do you plan your meals around coupons? A: Shame on me! I haven’t really been couponing for the last 3 months. 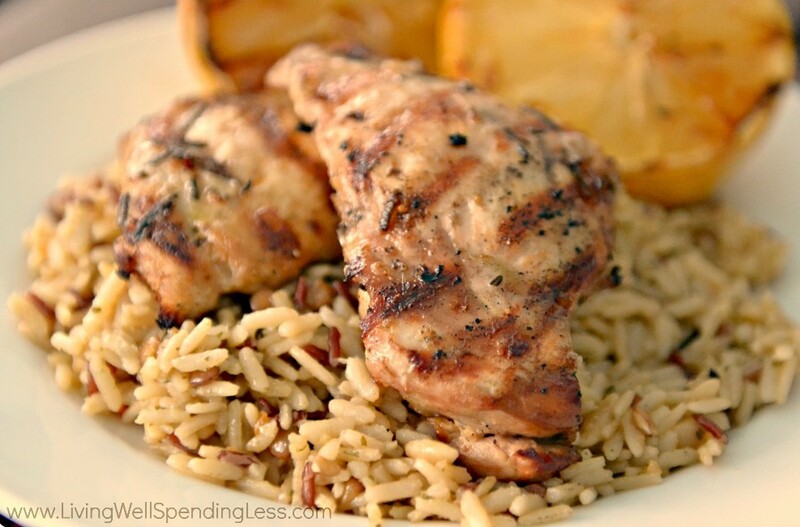 What’s your favorite thrifty meal idea? A: I don’t really have a single one but I do like to turn to my Taste of Home quick cooking annual books for ideas. They are handy & practical. 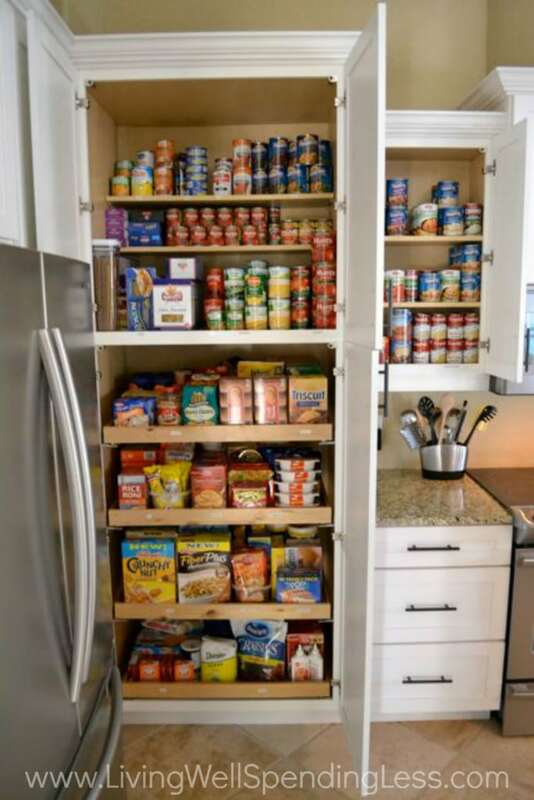 Where would you like to improve when it comes to stockpile cooking? A: I would like to be more time managed so that I can better serve my families needs. Also, since we are expecting our 2nd child in January, I really want to be more organized & prepared overall. This is the hardest part of couponing so far for me. I’ve done e-mealz before and have loved them but I’ve been trying to save more money and trying to stockpile. So my question to you is how did you do both while on e-mealz. Did you just buy the stuff and then just added the stockpile part to it? “Where would you like to improve when it comes to stockpile cooking?” Stockpiling… the hardest part for me is stockpiling in general. I’d love to get a stockpile and then cook from that stockpile. I am finding it hard to create a stockpile. I guess I need to buy more. My favorite thrifty meal idea is tuna casserole. Combine 1/2 bag of egg noodles (cooked) with 1 can of crm of mushroom soup and about 1/3 can of milk, a can of tuna, and 1/2 cup or so of frozen peas, salt and pepper and top with bread crumbs or crushed crackers. Bake at 325 for 25 minutes. I LOVE the e-mealz site. I have never heard of it before but have been looking for something like this to help me. 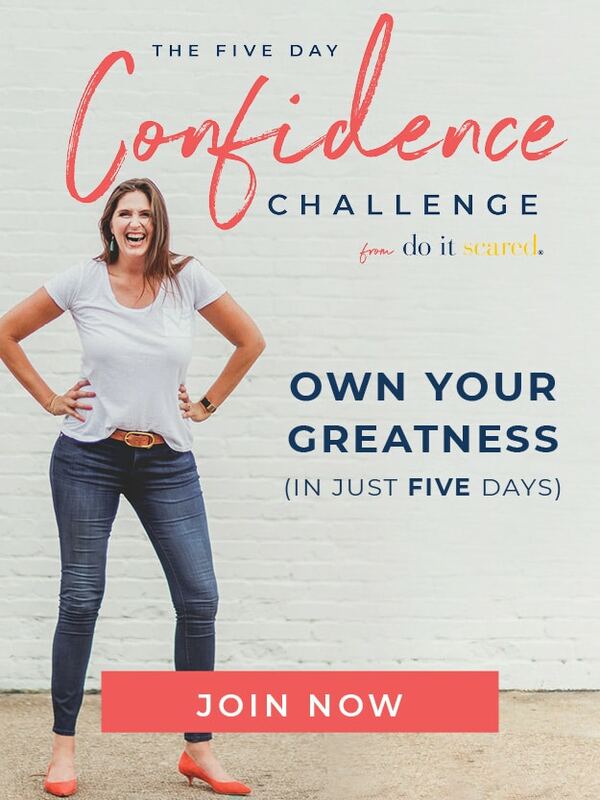 I’ve already signed up! But if I win I’d love to give it to my friend if I can’t use it for my next 3months. Due to health problems I have to eat mostly organic & GMO free food. I hardly find any coupons for the things we eat. How do you cut back on your food bill when organic and grass fed meat and poultry is expensive? I am traveling but I plan to give emeals a try as soon as I get home. One successful strategy I used when my children were small was to interview each member of the family for their likes and dislikes, including their favorite meal(s). I included that in my two week cycle menu. If someone was not pleased with the meals on a particular day–their day was coming. Don’t neglect to include your favorite meals, too. 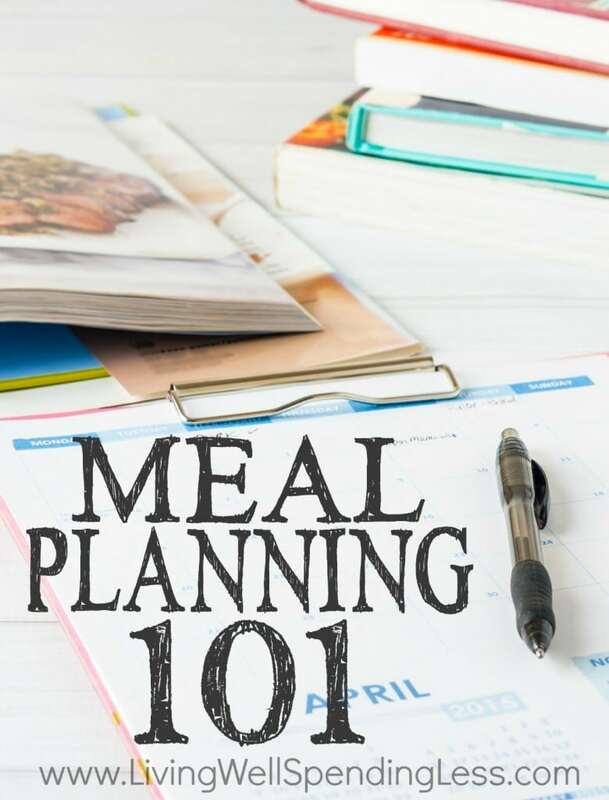 Food services use cycle menus and repeat those meals on a rotating schedule (1, 2,3, or 4 week) I repeated meals every two weeks and developed seasonal meal plans taking into account the weather as well as the availability of certain items especially produce in each season. I kept the meals in my home notebook in page protectors and had shopping lists to go with them. Once it was done I only had to make occasional changes to the docs saved on my computer. Easy peasy! !